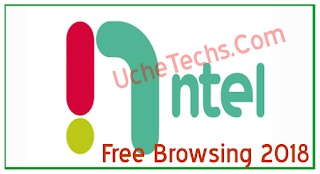 Ntel SIM is blazing hot with Unlimited Free Browsing / Free Internet since Mid-Night Today. Many users have been utilizing it and downloading unlimited on their Pc / Computer and Android devices. Users who are on our Whatsapp and Telegram Group were updated about this early Ntel Free browsing and are already browsing Free. This is the latest Ntel Free Browsing Cheat for July 2018. This is to inform all those who have Ntel sim, either WAFU or not, you will have access to the internet for Free. This Ntel Unlimited Free Unlimited Browsing doesn't require any VPN, Special Settings or Config File to use. No special code even needed, all you need to do is insert your Ntel SIM in your mifi, modem, or mobile device and enjoy it. Ntel is available only on some locations like Lagos and Abuja, so if you reside in this area, you can get a SIM. I am yet to do so to. Many have used more than 12GB of data since it started browsing free, especially this morning. Why not join them and enjoy this. Don't forget some are still enjoying GLO Free Browsing Cheat, including me. This Ntel cheat is a glitch and not cracked, so use it for any important stuff you have. It may be too late before you know it. Blazing on! I am so sorry you had that experience. I'll advise you to chat the admin of those site to link back to you and rewrite it. That's what i do. When will this ntel come to other states sef?? It's so painful to see it's working and I can't use it.